You might pay more for an active manager to run your KiwiSaver investments than a passive one. Martin Hawes weighs up the options. Some KiwiSaver scheme fees are more expensive than others. But why are some people paying more for their investment services? Well, it’s likely that the fees for an ‘active’ fund, where a team does lots of research and buying and selling, will be higher than those for ‘passive’ funds, which simply follow an index. An index is a hypothetical portfolio of shares. One you’ve probably heard of is the S&P 500. You can’t invest directly in an index like the S&P 500, but your investments can follow it as a benchmark. So, you have to ask: Can an active investment manager get returns that are superior to a passive investment manager who’s following an index? Is it worth the potential extra fees? 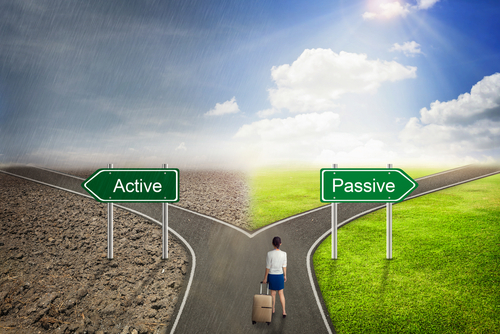 There’s a heated debate between fans of passive (cheap) and active (usually more expensive) investment management. In doing this, they expect to get the index return – they can never do better than the index does. In fact, they’ll get a return that’s below the index, because fees will erode their returns. They may be cheap, but they’re not free. Active managers, on the other hand, hire analysts and researchers, who go out to try to find the very best investments. This is an expensive approach, because they have to pay staff, but they aim to get superior returns to compensate for the higher fees members pay. Kiwi investors have to be especially careful when considering whether to buy an active or a passive fund. · Fees here are different: In New Zealand, Kiwi investors struggle to buy passive funds that are really cheap. Some overseas index funds may have a fee as low as 0.05 per cent, but these aren’t available to New Zealand residents or, at least, not at that cost. Instead, passive funds in New Zealand may be 0.2 per cent or more. It seems to me that if you’re going to buy a cheap passive fund that gives no management, it needs to be cheap. New Zealand ones are not. · It’s a small market here: New Zealand markets are fairly small, and quite ‘inefficient’. This means that there are a lot of pricing anomalies that good active managers can take advantage of. Many shares in New Zealand are not well researched and so an active manager who is prepared to put in the effort can find bargains to buy. · It’s easier here to beat the New Zealand market: Overseas, it’s harder for an active manager to beat most global markets, but it’s easier in New Zealand. According to a research paper by Mercer (February 2016), 50 per cent of New Zealand share market investors are overseas-based and therefore lack the networks and research to outperform. These, then, are the easy-beats. The average New Zealand fund manager should at least match the average market return and should aim to beat that average by 2.5 per cent a year. Most people would consider that performance like this makes a higher fee well worthwhile. 15 years, active managers have beaten the market before fees are deducted. They haven’t always beaten the market after fees, but then, we must remember that passive funds never beat the market and, in fact, always underperform the index. I’ve talked about returns, but good investors never forget that risk should be managed as well. Passive funds can’t do much about risk – their computers simply buy the companies that are in the index and follow them up and down. They can’t take a view about what might be coming in the future, and whether there’ll be another Global Financial Crisis (GFC). Even if there were another GFC, they couldn’t do anything about it. Active managers, on the other hand, think a lot about risk. They select companies that are less risky, and try to predict the big events that could wipe out billions of dollars. In my lifetime of investing, I’ve seen three major market crashes. I was badly hurt by the first, but I learned a lesson and was untouched by the other two. In spite of all the cheap-is-best talk, there is, in New Zealand at least, a strong case for active management. Cheap may sound good, but remember that you usually get what you pay for. Martin Hawes is the Chair of the Summer KiwiSaver Investment Committee. The Summer KiwiSaver Scheme is actively managed by Forsyth Barr Investment Management Ltd. You can obtain the Scheme’s product disclosure statement and further information about the Scheme on the Summer KiwiSaver website at www.summer.co.nz. Martin is an Authorised Financial Adviser and Disclosure Statements are available from Martin Hawes on request and free of charge.